People are terrible predictors of their own behavior, much less others. Good products come from letting the data reveal the customer’s needs and improving the product accordingly. How do we know what defines a good product, and how do we get off the ground when first building a product? It starts with User Experience or UX. Kelly Rader Murphy is a UX expert behind award winning mobile applications and the first online pizza ordering systems. She’s also been instrumental in improving user experience for call centers, research labs, and other off-line environments. There is a ton of detail, creativity, and analysis that goes into crafting a good user experience no matter what the context. Kelly is going to give us insights into what that looks like, and how we can get better (or hire better) for it. If you’re enjoying the show would love for you to leave us your a rating and review on iTunes. 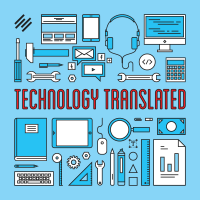 If you have a question you want answered on the show, give me a shoutout on Twitter @vsellis and use the hashtag #asktechtrans.